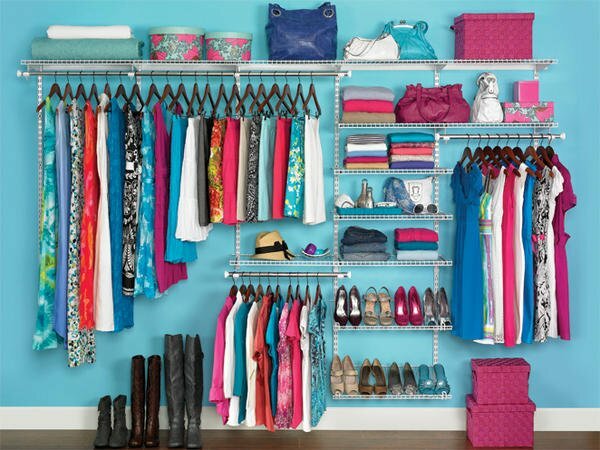 Bring order back to your home through these simple organizing tips and tricks. Spring is not only a time for cleaning, but a time to reorganize your household by de-cluttering rooms to create a stress-free atmosphere. The first step to getting rid of clutter is to collect the clutter in one place and to sort through it while asking yourself if it is something you love or need, something you don’t love or need, or something you are unsure if you love it or need it. One necessary thing to keep in mind: When in doubt, throw it out – chances are if you haven’t used it in a while, you aren’t going to use it again. Sometimes, you may need to add furniture to your home to quell the clutter, such as purchasing a shelving unit to display the items that were taking up your entire desk space, or putting small organizers in different rooms of the house. Though you may add a bit of ne things for organizational purpose, be sure not to add to much: Remember, reduce, reorganize, and refresh your home and attitude as you use this as your guide to clear your living, working, and sleeping spaces to achieve a more comfortable and calm environment. Put hooks at a level which your children can reach so that they can hang up their coats, jackets, and backpacks. Create a designated space for shoes so that you aren’t tripping over them. Try using baskets or cubbies so that shoes can be sorted by family member. Cubbies, bins, or baskets can also be used to organize backpacks – no more missing homework or assignments! Clear off everything from your kitchen counters and then put it in a box. Take that box to another room and ask yourself, "Does this really belong in the kitchen?" Chances are, you will be able to cut down on a lot of items and have much more available counter space for preparing meals. Put small kitchen items in see-through bins, and label them so that all members of the household know where things belong. Group things such as wooden spoons together in jars so they are easily available. Consider adding a recycling bin next to your garbage can so that recyclables do not accumulate on the counter or elsewhere in your kitchen. Do you have extra supplies that you can’t bear to throw away, such as extra mixing bowls or casserole dishes? Post them on Freecycle.org – a website where people can post things they would like to give away, and you can pass along your old belongings knowing that they will still be put to good use. Put away a few things at a time. If your desk is cluttered, make a point to put away one or two items before you leave the room. In just a few days, it will be looking neater with minimum effort. Drawer organizers aren’t just for kitchen utensils.Try using these nifty organizers to bring order small things on your dresser, desk, or nightstand, such as jewelry or hair supplies. As much as you love your photographs in frames, consider making photo collages for the wall so that you can free up more space on your nightstand or dresser. Donate your old clothes to make room for your new additions. Groups such as the Vietnam Veterans of America and the Lupus Foundation will even pick up bags of gently used clothes and toys from your doorstep. Give each toy a home, and teach your child where it belongs. Either if it is on a shelf or in a bin, make sure your kids have a part in the cleanup effort, and that they know that toys are not left out on the floor. Baskets can also be handy here – dollar stores often sell plastic baskets for cheap that can be used to corral dolls and army men alike. Hanging shoe organizers are also useful for hiding toys in a closet, or storing craft supplies like pencils, colored pencils, and paintbrushes. Teach your children about charity. If they have toys that they do not play with, have them donate anything that is gently used, or pass them on to younger kids in the family or in the neighborhood. Subject: LongIsland.com - Your Name sent you Article details of "Reorganize & Refresh for Spring: Declutter Your Home for a Stress-Free Season"